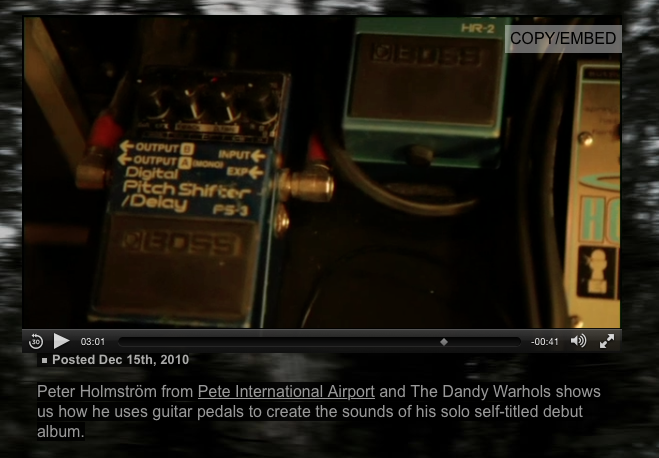 An HR-2 can be seen on Omar's pedalboard at about 5 minutes into the video. 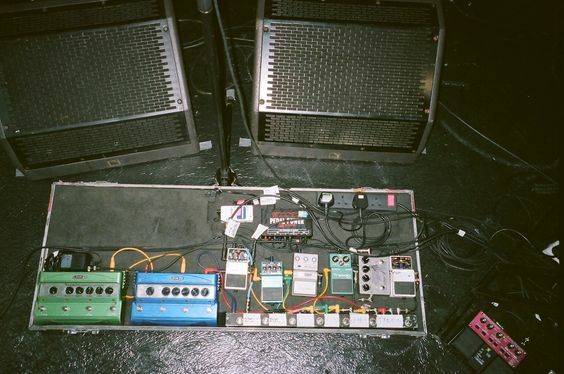 This Boss pedal was spotted in the picture. At 2:59 in [this video](http://intothewoods.tv/learning-curve/episode-6), in which Peter Holstrom talks about his effects, a Boss HR-2 can be seen in the upper right corner. 5 in from the right you can see what looks to be an hr-2 plugged in mono. 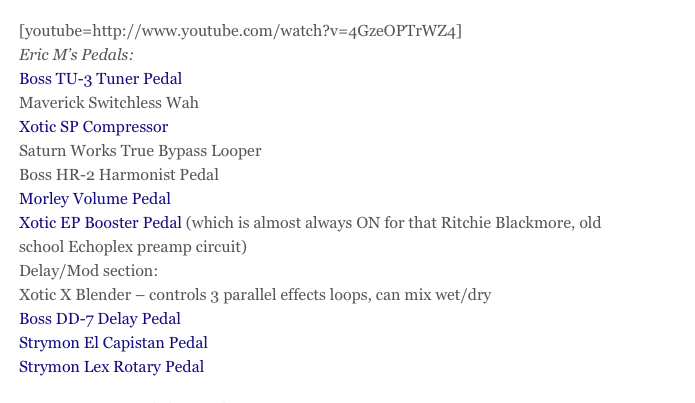 Eric Mardis uses a Boss HR-2 pedal, according to [Mass Resonator](http://massresonator.com/2013/05/5-best-pedalboards-from-mass-street-music-staff/). Julian Wolf was photographed by Dita Vollmond concert and event photography in April of 2018 at the Festival Arena at the Musikmesse in Frankfurt am Main, using a Boss HR-2 Harmonist Guitar Effect Pedal during a show with his band "Funk Fragment". My favorite? Is to set it up with my volume on the guitar all the way down strum & then raise the volume on my guitar & get a killer effect. It's not a very ubiquitous pedal I use all the time & loads of people have improved on this idea. But for my tastes this works fine and is a ton of fun. I have not used it on really any other sources besides guitar yet. Definitely something I should explore soon though. Great pedal, loads of fun. Got it while on tour -in Nashville if I remember right? No regrets.